One year after Kern-Host, British Bristol-based composer, sound artist and musician James A. McDermid released a new solo album. 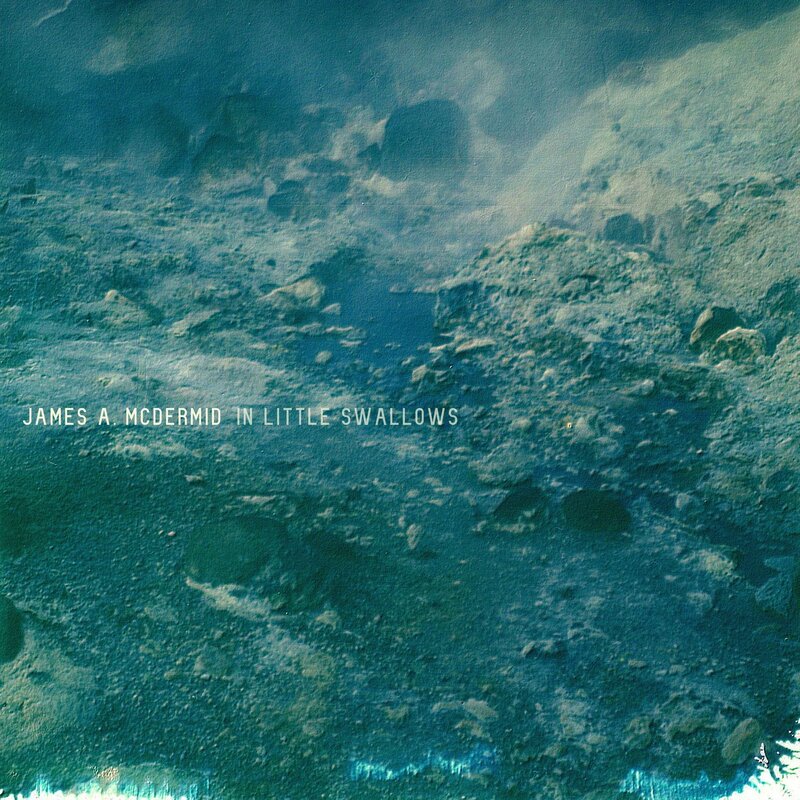 In Little Swallows is out now via Shimmering Moods Records. His words about it: “In Little Swallows is about a train journey… the same journey each and every day for 2 years, over a decade ago. This was at a time where some things in my life were out of sync with where I wanted to be and what I wanted to do. The train journey would have been insufferable without a book to read – the brutal silence of rumination is debilitating – so I picked up Dostoevsky’s Crime & Punishment (a book I’d always wanted to read); a few days later, a new album I’d bought – Benoit Pioulard’s Précis – accompanied me on the journey too. What transpired was that the book and the album brought together a rather strange fluency of both perspicacity and union: the book became the visual aesthetic to the album, and the album became the soundtrack to the book. As the chapters rolled on – with the album on repeat – it turned out to be one of the most transformative periods of my life; I not only felt empowered, energised and motivated to work towards the changes I so desperately wanted to make, but I even started to hear the dialogue of the protagonist, Raskolnikov, in the voice of Tom Meluch himself! Within a month of this experience (and after 2 years of chronic procrastination and zero motivation) I’d moved cities, which is one of the main things I wanted to do. As the dust settled I began to live the life I wanted; even now, after all these years, I still live in the same apartment I moved to. So because the inspiration of the book and the album spawned a significant transistional period for me, it’s always been something I never wanted to forget. Revisiting these memories and feelings is what allowed me to write this album. The album title, In Little Swallows, is just a line I lifted from the book; more than that, almost all of the track titles are snippets of lyrics from Précis. To cap it all, Tom donated 3 of his photos to the project, which I’ve used as the artwork”. Full streaming is available below.